While prolific TAB Highway winner Danny Williams seemingly has Saturday’s Rosehill Gardens $75,000, 1400m episode at his complete mercy, he cautions punters it’s not necessarily with the equal favourite, Chewbacca. Williams has never had a stronger hand in the series with boom talent Chewbacca ($3.80 on TAB fixed odds) jointly heading the markets for Kerrin McEvoy, a flying James McDonald on a firmer in Hemmerle ($3.80 eq fav), and last start winning mare Bridyn May ($12) to be ridden by apprentice Jean Van Overmeire. “It’s a nice position to be in – Chewbacca is the obvious but there’s more to the race with my other two,” offered a guarded Williams. “Chewbacca has the most ability, always with the potential to be up there with our stable’s best in She Knows and Kopi Luwak, but he’s never been completely sound or tractable. At present Rosehill Gardens is rated a good four. “He really feels it in his joints, jars up and is reluctant to let down. His prep is on the beach and treadmill. He’s obviously got the raw ability to still win, but he’s lengths better with give in the ground. “While he won well enough at Goulburn in a weaker field, the jockey said he could have won by lengths more but wouldn’t let down. His first-up run at Rosehill was the same and enormous because he came out of the barrier like a crab on a day nothing was making up ground. Williams though has a high rating of stablemates Hemmerle and Bridyn May: “Hemmerle is untapped, two from five and exceptional ability. 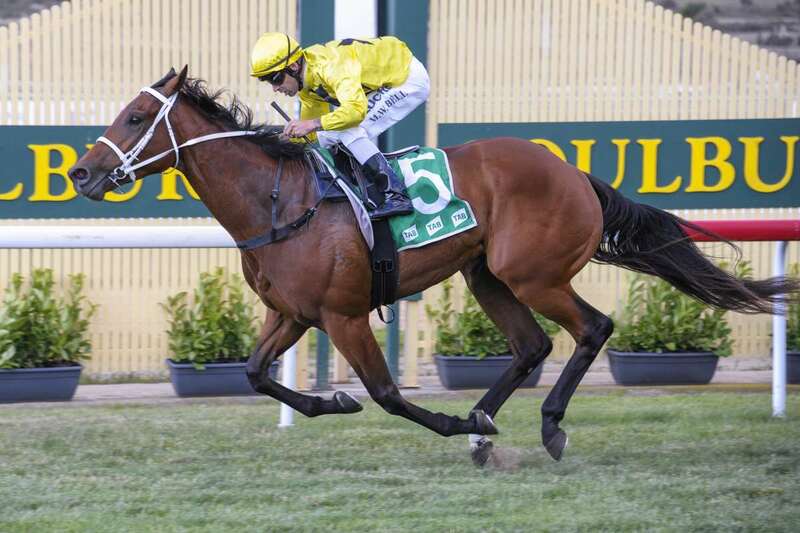 Go into the form and you’ll see last prep he finished close-up to Chris Waller’s Seaway in Saturday grade and it progressed to run second in the Group 2 Queensland Guineas. “That’s serious form for a Highway. He’s won first-up and he’s well forward and certainly with an in-form jockey. The mare, Bridyn May, won impressively, she’s progressed and previously she was only beaten narrowly by Noble Boy who won so well last Saturday.